Well, it's happened again. For the second time in my very short career as a MUFON Certified UFO Field Investigator, one of my cases is in contention for MUFON's "Top 10" list! It happened before, when a case involving a giant hovering UFO witnessed by a woman and her daughter was named one of MUFON's "Top 10 UFO Sightings" of 2012. It was a pretty cool case, but I'm even more excited about the new one. Well, I say "new," but it actually took place in 1980. It's a mass sighting at Fort McCoy, a military base in central Wisconsin, that involved as many as 50 servicemen. The witness is now retired and is haunted by the event. 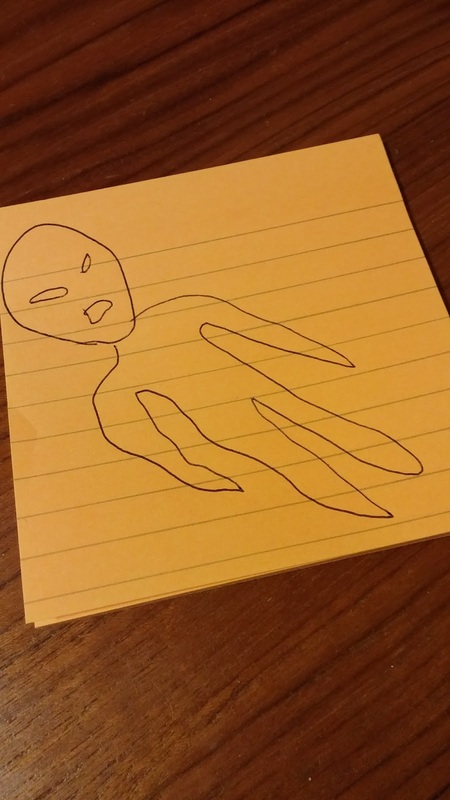 He doesn't know what he saw, and realizes he may never know, but he wants to know if any of the other servicemen there that night remember seeing what he saw, a strange rectangular craft with two entities visible through a port in the front of the object. I may learn more about the Top 10 selections next week, so I'll keep you posted! Boy, for a few minutes I thought I had uncovered an honest-to-God UFO conspiracy, and it was pretty exciting while it lasted! It all started when I saw an email alert that someone had posted a very provocative question in a Facebook UFO group called "Global Aerial Phenomena Studies," and someone else had mentioned me in relation to the question. How about that? The question was, "Did Dr. Hynek ever write or say anything about Roswell?" A provocative thought indeed. 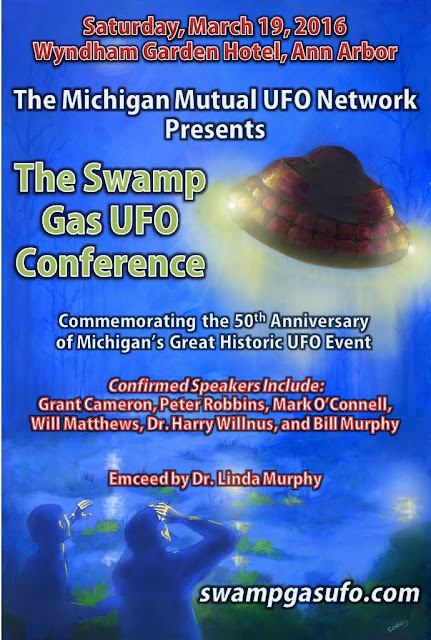 Is it possible that any UFO figure active in the field between 1947 and the present day could have avoided saying or writing anything about Roswell for the duration of his or her public life? The questioner, Curt Collins, went on to say, "I'm sure he must have, but the only thing I've found is 2nd hand from disgraced Phil Imbrogno in 'Interdimensional Universe.' There's an article that seems like a good possibility, 'A Cosmic Watergate?' by Hynek in International UFO Reporter, vol. 9 Jan-Feb, 1984. Does he discuss Roswell there or anywhere else?" 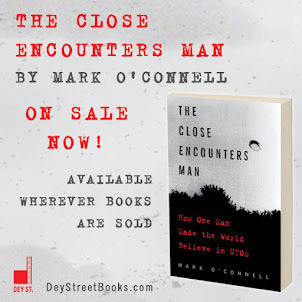 Another group member, Jeremiah D, replied with the following: "I don't know, but I have been eagerly awaiting Mark O'Connell's forthcoming Hynek biography, 'Close Encounters Man' ( for better or worse)." Anyway, Jeremiah quickly added this comment: "'(for better or worse)' was a jab at UFO literature in general and my own seeming inability to not buy every single thing I come across on the subject, regardless of thesis or theory; not Mark or his book." 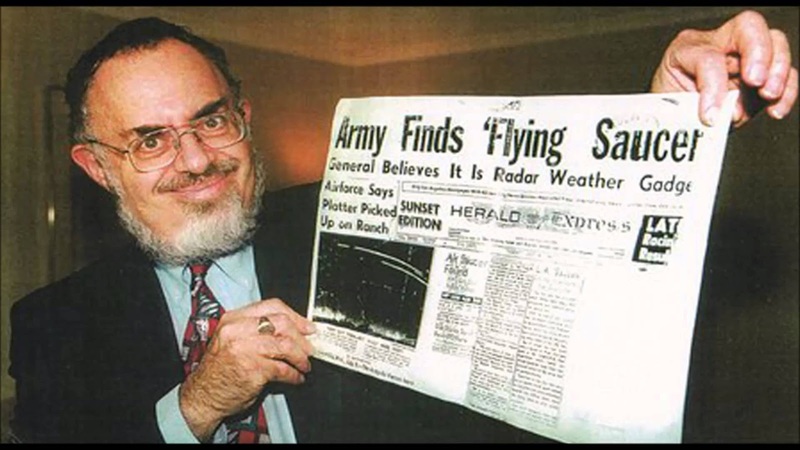 Back to our story: I thought it was a good question Curt had asked, so I went to the library of old issues of International UFO Reporter that I have saved to my hard drive to read the article in question. It was then I found, to my terror, that all of Vol. 9 was a "corrupted file" and couldn't be opened! Conspiracy averted, I read Hynek's article about "A Cosmic Watergate" and was not surprised that he didn't mention Roswell in the story. So I posted a comment to Curt and Jeremiah: "I can't say with 100% certainty that Hynek NEVER wrote or said anything about Roswell, but I think I can safely say that if he ever had it would have been brief and derisive. He was generally disdainful of saucer crash stories, and was never committed to a 'nuts and bolts' explanation for UFOs." And that's where it ends for me. "When the legend becomes fact, print the legend"
Well, then Curt posted some information that Hynek had spoken at the 1981 and '82 MUFON Symposiums, and that Stanton Friedman has also appeared at both events to talk about his Roswell research. Curt naturally wondered whether Hynek and Friedman could have crossed paths and talked about Roswell at those gatherings. I guess it's possible, but it's just as possible that Hynek appeared on Saturday and Friedman appeared on Sunday, or that they were there at the same time but Hynek spent the whole weekend avoiding Friedman. Or maybe they did have a talk but Roswell never came up. But... even if they had talked Roswell, that's not the same thing as Hynek making a public statement about Roswell, as just about anyone's public statements on such a volatile subject are bound to be different from their private statements. So, unless I turn up any definitive proof either way, I'll have to file Curt's questions away as an interesting thought exercise. Which is not to say that there won't be any saucer crash stories in my Hynek bio, "The Close Encounters Man," they just might not be the ones you're expecting. I got an interesting comment yesterday in response to myrecent post about the “Ramey memo,” and I wanted to thank the anonymous reader who posted this. I am always happy when my blog provokes a heartfelt response, because UFOlogy is only made better by healthy debate and discussion. "I often find you have a pretty superficial knowledge of various UFO-related issues, and an overly dismissive, jokey attitude, Mark." The “overly dismissive, jokey attitude” is kind of the whole point of my blog, so thank you for noticing. 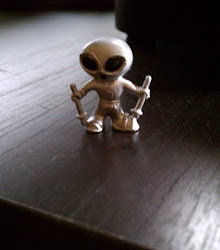 When I started thinking about writing a UFO blog over 4 years ago, I knew that there were already dozens of dreary, deadly-serious UFO bloggers out there, and I didn’t see any point in being another one. Why write a blog if I’m going to sound just like everyone else? 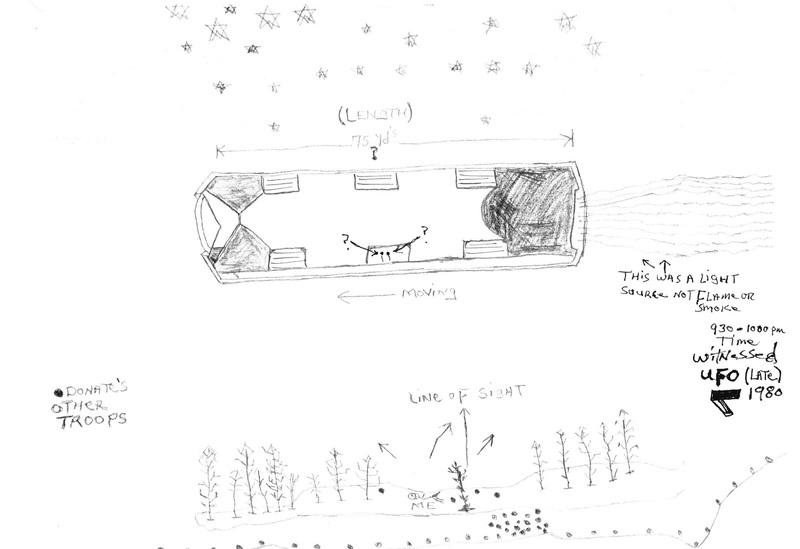 I decided to approach the phenomenon from a different angle: I would treat the subject seriously (because I do take it seriously), but I would reserve the right to be jokey and dismissive of the UFO phenomenon, and of the field of UFOlogy, and even of myself, when it was warranted. Either you get it or you don’t, and you clearly don’t. No big deal to me. As for my “superficial knowledge of various UFO-related issues,” I have just turned that knowledge into a substantial book deal with a prominent publisher, so maybe it's more substantial than you think. "The point of the new scanning and use of more modern deciphering software on these somewhat higher resolution scans of the original negatives is to try and discern more clearly what parts of the Ramey memo might actually say. "If it can be reasonably confirmed the memo says, in one part "victims of the wreck," and "disc," that would strongly suggest the invalid claims for Mogul flight #4 are thus discredited, the USAF lied in their 1994 and 1997 "case closed" whitewashes, and the term victims suggests there may be more to the case for Roswell than you seem capable of even understanding or accepting." Are you going to make me drag this guy out again? I think you are! See, anonymous, it’s things like this that trigger my overly dismissive, jokey attitude: you pretend to be an open-minded truth-seeker, but you’ve already ruled the Mogul explanation “invalid,” based on evidence that you’re not even sure exists! Instead of trying to find out what the Ramey memo says, you and your ilk are trying to prove that it says what you want to believe it says. You see “VICTIMS”; I see “PICKLES.” Why wouldn’t I poke fun of that? As to whether I am capable of understanding or accepting "the Roswell case," I have to ask, "What is there to understand and accept?" I understand and accept that Jessie Marcel may have genuinely believed that Mac Brazel had recovered debris from a crashed flying saucer, but that's where it ends. What else of any substance have you actually got? What confuses and bothers you about my blog, I think, is not that I "don't understand" but that I refuse to accept conventional thinking when it is not borne out by the facts and evidence. I'm far less concerned with your use of "modern deciphering software" than I am with the context in which this is playing out... That's what I look at, and what I think you should look at: the CONTEXT. A mere six months after the last Roswell "Smoking Gun" went down in flames, the world is suddenly presented with another potential Roswell "Smoking Gun" by the same people, and you don't detect even the slightest whiff of desperation and cynicism? "Using Rich Reynold's site and related postings for your initial source for info on this controversy simply confirms that, since he despises Randle. You therefore discredit yourself by such ignorance and bias." Anonymous, I don’t agree with a lot of what Rich Reynolds says in his blog, but I read it fairly regularly and I respect him because he raises a lot of interesting, difficult questions, because he doesn’t put up with any UFOlogy BS, and because he’s a very entertaining writer. I think we need more of that, not less. Anyway, please tell me: Who should I be reading?